X Banner Stands are one of easiest ways to display a tall vertical banner. We have 2 sizes medium 63" x 24" and large 78" x 48". 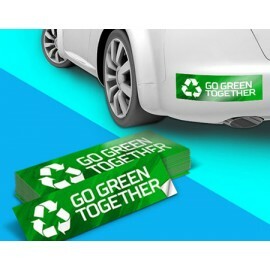 X Banner Stands are ideal for conventions, trade shows, career fairs, retail displays, & more. Its affordable prices and quick assembly saves you time & money. Displaying your banner is simple. 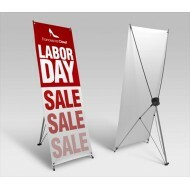 For the 63" x 24" X Frame Stand, all you need to do is hook the banner onto the stand. As for the larger, 78" x 48" stand, you can screw the banner onto the frame. We place sturdy grommets in each of corner of your banner to ensure that it won’t tear while it’s being displayed. And of course, removing & replacing the banner is just as easy.The X Banner Stand disassembles in just minutes. lightweight, compact design making it easy to transport. The X Frame Stands come with a carrying bag with a strap for ease of transportation. With our convenient Bundle Deals, you’ll be able to purchase an X Stand and a banner together and save money.